New recruit Ryan Rivis scored twice to steer Newlands to a 3-1 win at Saturday League Division One strugglers Cayton, one of only three games to beat the wintry weather. Ben Luntley opened the scoring for Geoff Nock's third-placed side, breaking through to slot past the Cayton keeper in the 20th minute. Five minutes into the second half, the hosts levelled through a Phil Meads header. Twenty minutes from time Rivis played a neat one-two and struck home to restore Newlands' lead. Rivis, who also plays for Newlands' Sunday League side, sealed the win with his second of the game five minutes from time, the move starting with man of the match Gary Jordan at right-back, who passed to Luntley, the latter squaring the ball past two Cayton defenders and the keeper for Rivis to fire in from an acute angle. Jake McAleese was named as the Cayton man of the match. 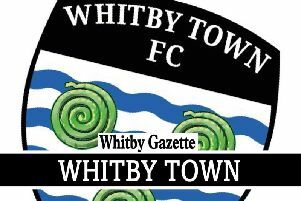 Hunmanby United stayed in second spot with a 2-1 home win against Whitby Fishermen. James Pinder opened the scoring for the hosts with a neat finish after a fine pass from Ryan Baldry capped a fine team move. Jordan Purvis netted the leveller for Fishermen after the interval but Matty Atkinson's header, from a Baldry cross, secured the win for United. Keeper Jonny Hyde, defender Leigh Franks and player-boss Daz Crawford all played their part in a superb, gritty all-round display by the home side in a game which was scrappy due to the horrible conditions. Filey Town Reserves went top of Division Two with a hard-earned 1-0 home win against previous leaders West Pier Reserves. Lewis Adams scored the all-important goal for the hosts, with keeper Dave Tonks pulling off some fine saves to keep Pier at bay especially an agile stop to keep out a late free-kick. Boss Dan Kempson said: "Adams had a good game, as did Tonks in goal but the defence was superb in a hard-earned win. It was a scrappy game but a very valuable win for us in the title race."